Ginger is known for its pungent aroma and slightly spicy, zesty flavor, which is what makes it a staple of many Asian delicacies and meals. Fresh ginger is added for flavor to many meals, and there are also ginger spices, oils, and juices that are popular for their unique taste. You’ve probably eaten it as part of a stir fry or with some sushi, but there are many health benefits of ginger that should have you adding it to your regular diet. For centuries, ginger has been used by many cultures for medicinal purposes. There are many benefits to eating ginger, particularly for digestive health, inflammatory diseases, and overall health. Ginger is the root of the ginger plant, and is typically produced in India, Indonesia, and Australia, among other countries. Ginger roots vary in color, depending on the type, and can be yellow, white, or red. They have a hard, tough skin with edible flesh inside. Ginger root can be ground, pickled, juiced, or even candied and dried. Eating raw ginger is also an option, although its strong taste usually means that it’s best mixed into other meals. Ginger root is most commonly used as a spice, and like many spices, it has a good nutritional profile. It’s low in calories, with only five calories per every six grams, and it’s low in fat, sugar, and sodium, ensuring that it can be part of a healthy diet for people who are trying to lose weight or who have diabetes, hypertension, or heart disease. Ginger is also loaded with vitamins and minerals. Ginger contains vitamin C, potassium, calcium, magnesium, phosphorous, zinc, iron, several B vitamins, and many others, which makes it a healthy part of a nutritious diet. However, it’s the healing properties of ginger which make it a particularly beneficial supplement or superfood. So what is ginger good for? Here are 11 health benefits of ginger root (1). One of the most common ginger uses and benefits is for improving digestion and helping manage digestive disorders. Ginger contains phenolic compounds that can help stimulate bile production and move food through the digestive tract. In some studies, ginger has been found to improve delayed emptying of the stomach by up to 50%. 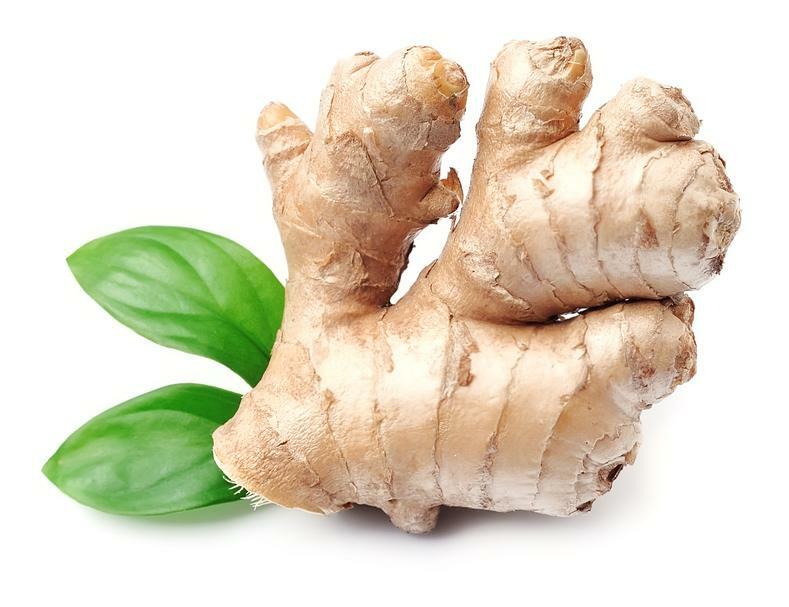 Ginger can also help treat gastrointestinal irritation, making it potentially helpful for digestive disorders such as acid reflux, irritable bowel syndrome, and other similar conditions. 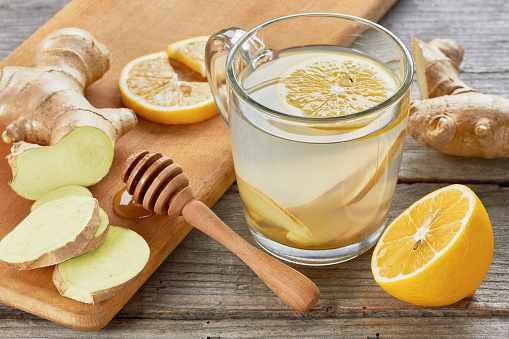 Ginger can be incredibly effective when used to treat nausea, having been found to reduce symptoms in pregnant women with morning sickness and cancer patients receiving chemotherapy treatment. Studies have found that ginger can help ease nausea, or even eliminate symptoms entirely. Chewing raw ginger is particularly effective against nausea. If you don’t like the taste of raw ginger, you can purchase ginger lozenges. When it comes to nausea, ginger tea also has health benefits. Ginger can be used for its anti-inflammatory properties. In fact, research has found that eating ginger for as little as one month can reduce certain inflammatory markers in the body. Ginger is often used to help treat arthritis and other inflammatory conditions. It also contains antioxidants and compounds that can be effective for fighting chronic inflammation. Ginger can also ease pain. One study found that consuming ginger daily was an effective treatment for reducing muscle pain. The results indicated that while ginger doesn’t immediately alleviate pain, it can be effective as a long-term treatment. It’s particularly helpful for people who experience muscle pain after exercise. Studies are now finding that ginger may be effective for lowering heart disease risk and may help people with diabetes. One study found that taking ginger could lower blood sugar levels. Another study found that ginger lowered markers associated with heart disease. There are many health benefits of ginger for men, but here’s one just for women. Ginger may be an effective treatment for menstrual pain. In fact, one study found that taking a daily dose of ginger was as effective for reducing menstrual pain as some commonly prescribed medications, such as ibuprofen. Could ginger be effective for lowering the risk of certain cancers? Some researchers believe so. In particular, one study found that ginger extract can reduce inflammatory markers in the colon that are connected to colon cancer. It’s also believed that ginger may be helpful for preventing breast cancer and ovarian cancer. Several studies have found that eating ginger can significantly reduce cholesterol levels, and can even be as effective as some cholesterol-lowering drugs. High cholesterol is linked to an increased risk of heart disease. One of the most surprising benefits of ginger may be its effects on the brain. Ginger may be effective for combating age-related cognitive decline, Alzheimer’s disease, and dementia. One study found that when middle-aged women ate ginger, their memory improved. Animal studies have also found that ginger is effective for reducing cognitive decline. Ginger can also eliminate infections by preventing the growth of bacteria in your body. Bacteria can be the culprit behind many health conditions, including gum disease, digestive disorders, and respiratory infections. Some studies have found that ginger can inhibit certain types of bacteria and is particularly effective against gum disease. Ginger use can promote perspiration. While this may seem unwanted, sweating is actually one of the major ways that the body rids itself of harmful microbes and germs. Now that you know the benefits of ginger, you might be wondering about the best way to eat this nutritious, healing superfood. There are many benefits of raw ginger. Once peeled and sliced, ginger can be eaten by itself or added to other meals, such as sushi, stir fry, and curries. However, raw ginger can have a strong and bitter taste. If you don’t like ginger or find the taste too strong, there are other ways that you can enjoy its health benefits. Ginger spice, ginger extract supplements, ginger tea, and ginger powder are all available at many supermarkets and health food stores, and they may have a more agreeable taste for people who don’t enjoy raw ginger. Note that ginger-flavored lozenges, candies, juices, and beverages may not contain real ginger or may be heavily processed, eliminating many of the health benefits, so be sure to read the labels before purchasing. The health benefits of ginger are numerous: it can improve digestion, relieve pain, fight inflammation, and may even prevent cancer and age-related cognitive decline. Ginger is also full of vitamins and minerals, which is part of the reason that it’s been used as a healing medicine for centuries. You can buy raw ginger at your local grocery store. For people who don’t like the taste, you can easily mix ginger into meals, or try ginger extract or tea for a lighter flavor. 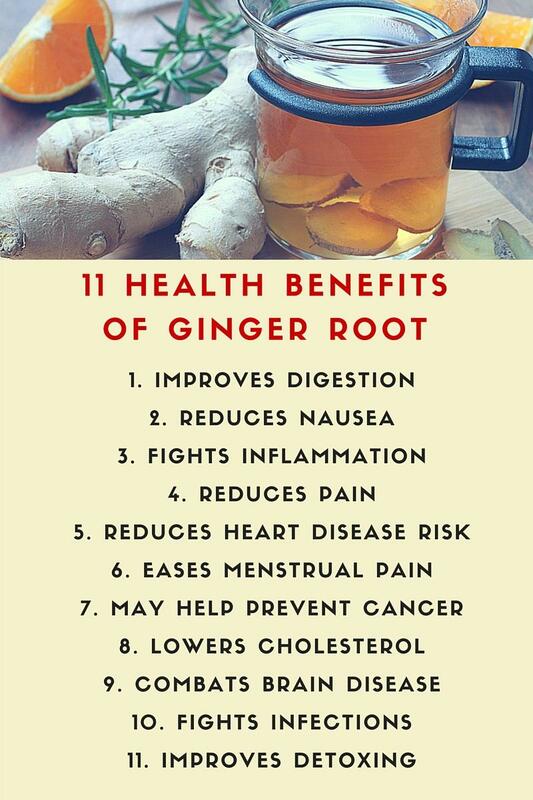 So buy some ginger and enjoy these amazing health benefits today!